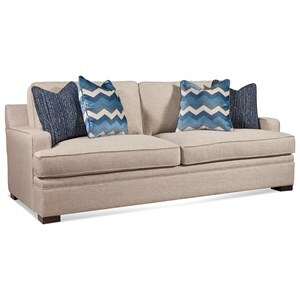 The Westchester Casual Track Arm Sofa with 7" Innerspring Mattress by Braxton Culler at Powell's Furniture and Mattress in the Fredericksburg, Richmond, Charlottesville, Virginia and Maryland area. Product availability may vary. Contact us for the most current availability on this product.